Your gadgets could help 'launch a cyber attack' Jump to media player NCA director says a rising number of gadgets are being hacked to launch cyber attacks. 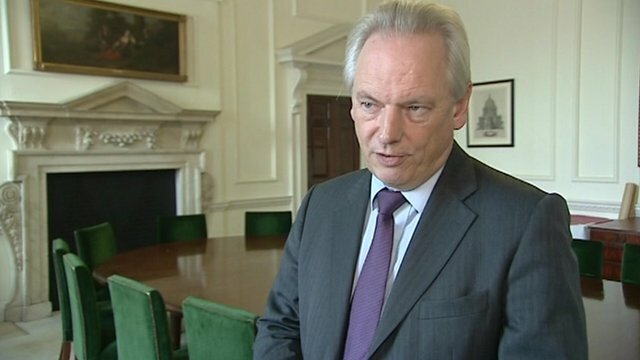 UK cyber security strategy unveiled Jump to media player Cabinet Office Minister Francis Maude has announced a new police Cyber Crime Unit to protect Britain against the growing threat of attacks on the internet and in electronic communications. 'Concern' over business cyber security Jump to media player The government is issuing advice to British business leaders on how to protect themselves from cyber threats. Director of Cyber Security at the National Crime Agency, Donald Toon, tells Today that your devices could be hacked and used to launch a cyber attack - without you even noticing. In a joint report, the National Crime Agency and the National Cyber Security Centre, have warned that smart phones, watches, televisions, and fitness trackers could all be targeted to hold users to ransom over personal data.